Carol Sanic, age 77, of Kalamazoo, died at Rose Arbor on Tuesday, December 26, 2017. She was born November 24, 1940 in Kalamazoo to the late Donald and Wilma (Crooks) Richardson. She is survived by her children Melanie (Paul) Sanic-Burke of Kalamazoo, Ronald (Nicole) Sanic of Richland; three grandchildren Andrew, Jackson, and Colton; and her brother John Richardson, San Diego, CA. She was preceded in death by her husband Ernest in May of 2015, whom she married on April 7, 1962. Carol graduated with the Class of 1958 from University High School, later earning her BA degree from Kalamazoo College in 1962. She was an Elementary School Teacher for Gull Lake Schools for one year and 36 years at Parchment North Elementary School. Carol was known for her courageous, tenacious, and calm spirit. 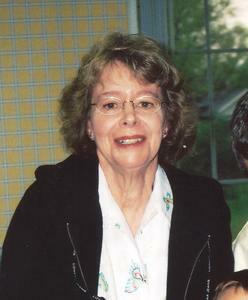 She loved reading, eating out, traveling, shell collecting, shopping, especially at Talbots, and her grandchildren. She loved selecting gifts for her family that truly reflected who they were, including the books that she personalized with a special inscription. The last few years of Carol’s life were made more comfortable through the companionship and compassion she received at Wyndham West and through her caregivers at Custom CareLink. A Memorial Gathering to honor Carol will be held on Friday, January 12 from 4-6pm at The Beacon Club, 5830 Portage Rd, Portage, MI 49002. Private Burial will be held in the summer at Mt. Olivet Cemetery. Please visit Carol’s personal memory page at www.BetzlerFuneralHome.com where you can share a favorite memory or photo and sign her online guestbook. Memorial contributions may be made to Rose Arbor Hospice.